Getting an accurate diagnosis is the first step toward reclaiming your life from bipolar disorder. But if you or someone you love is struggling with the frantic highs and crushing lows of this illness, there are still many hurdles to surmount at home, at work, and in daily life. You need current information and practical problem-solving advice you can count on. You’ve come to the right place. 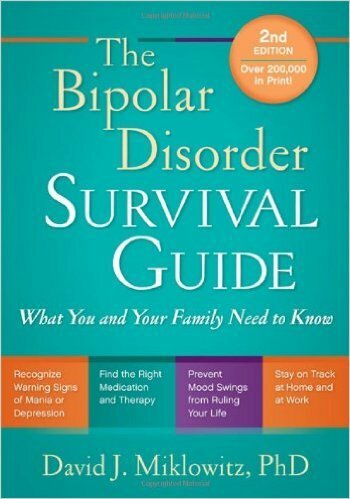 * How can you distinguish between early warning signs of bipolar mood swings and normal ups and downs? * What medications are available, and what are their side effects? * What should you do when you find yourself escalating into mania or descending into depression? * How can you tell your coworkers about your illness without endangering your career? 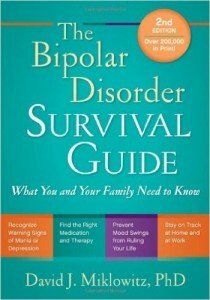 * If you have a family member with bipolar disorder, how can you provide constructive help and support? Purchase on Amazon or find at your nearest library. In the case of life threatening emergencies please dial 999 and for non life threatening, but urgent help dial 111. For more information about accessing help for mental health emergencies please click here. London Psychologist by Dylan Lopich is licensed under a Creative Commons Attribution-NonCommercial-ShareAlike 4.0 International License.